We are all about FRIENDSHIP, FUN, FABULOUS FOOD (AND DRINK) AND LOTS OF LAUGHTER. In 2018 we had a packed itinerary of events and activities including an update on the hugely successful and enjoyable ‘Taste of Nepal’ fundraising evening, a pub night/skittles at ‘The Gaggle of Geese’, BBQ, Mexican Train evening, visit to Brownsea Island, Octagon Theatre visit and the ‘occasional’ pub meal to name a few. As quite a few of these events and activities included partners, husbands, friends, family and residents of Buckland Newton and the surrounding villages, we have decided to advertise these under a new name: “The Village People”. If you would be interested in joining us for any of the years events or would like more information please contact Amanda McKenna on 01300 345367 or email amandat62@outlook.com . The Village People kicked off 2019 with a Pub Night at The Gaggle of Geese on Wednesday 16th January. 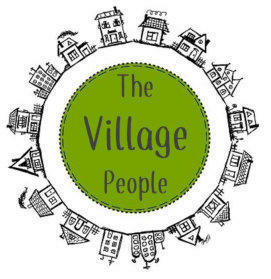 It’s a New Year – It’s your Village. Let’s make the most of a fantastic Pub, great Village Hall, beautiful Dorset countryside and coastline and interesting places to visit You suggest an event, activity or places to visit – we’ll try and organise it All welcome – No joining a club or paying a subscription, do what you fancy when you wish Some ideas already put forward: Regular Pub Nights, Race Night, River Cottage Food Fair in May, Barn Dance, Theatre visit, Speedway and Greyhound racing If you have any suggestions but are unable to make it on 16th or you would like more information you can email amandat62@outlook.com Saturday 2nd March. ‘Village People’ Games Night at The Gaggle of Geese. Wednesday 27th March, Octagon Theatre, Yeovil. YAOS present ‘42nd Street’. Saturday 13th April, Visit to Haynes Motor Museum, Sparkford. Saturday 27th April, 7.30 pm to 11.30 pm, Village Hall. 60’s, 70’s, 80’s Disco – in aid of Marie Curie. Disco, bar and bring & share buffet Dress code: pick your favourite decade! (Optional but spot prizes will be given!) Tickets £8 in aid of Marie Curie available now at Old Chapel Stores. Once you have bought your tickets (which I’m sure will be all of you! As its for such a good cause) could you please email either Alan or Karen to let them know what plate of food you will be bringing so that we don’t end up with 50 prawn cocktails or the like. I have listed a few dishes that were popular during these 3 decades to give you a bit of inspiration, if that is what you can call it! Prawn Cocktail - Chicken Liver Pate - Golden Wonder crisps!! - Devils on horseback - Sausage Rolls - Cheese straws - Cocktail sausages - Scotch Eggs - Pineapple Upside down cake - Angel Delight (Butterscotch flavour) - Cheese and Pineapple hedgehog - Quiche Lorraine - Curried Eggs - Gala Pie - Banoffee Pie - Vol au vents (chicken and mushroom filling) - Garlic Bread - Pizza - Salted peanuts - Open finger rolls with fish paste - Ritz crackers with dollop of Primula from tube - Viennetta - Trifle - Battenberg cake - Black Forest Gateaux Can’t wait to see what delights you’re going to bring!! Look forward to seeing you all then. For any more details clíck on graphic at left or ring Alan 01300 345688. Saturday 25th and Sunday 26th May. River Cottage Food Fair. Tickets £15.00 plus parking £7.50 – go to https://www.rivercottage.net/festival/food- fair-2019 for details and to purchase tickets. June. Fossil Walk & Lunch. Details to follow July. BBQ and Barn Dance. Details to follow Sunday 11th August, Parish Field. Sports Day and Picnic. ‘Old School’ Sports for the not so Sporty (or Fit!) – Egg and Spoon, Three Legged Race, Obstacle course and more – there will be prizes!! 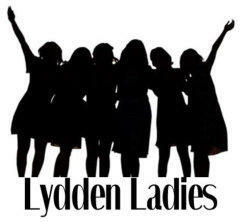 - lots of fun and laughs and bring your own delicious picnic and drinks. September. Vineyard Tour. Details to follow October. TBC November. Race Night. Details to follow Friday 13th December. Ladies Christmas Meal.